Ice-free means the central basin of the Arctic will be ice-free and I think that that is going to happen in summer 2017 or 2018. 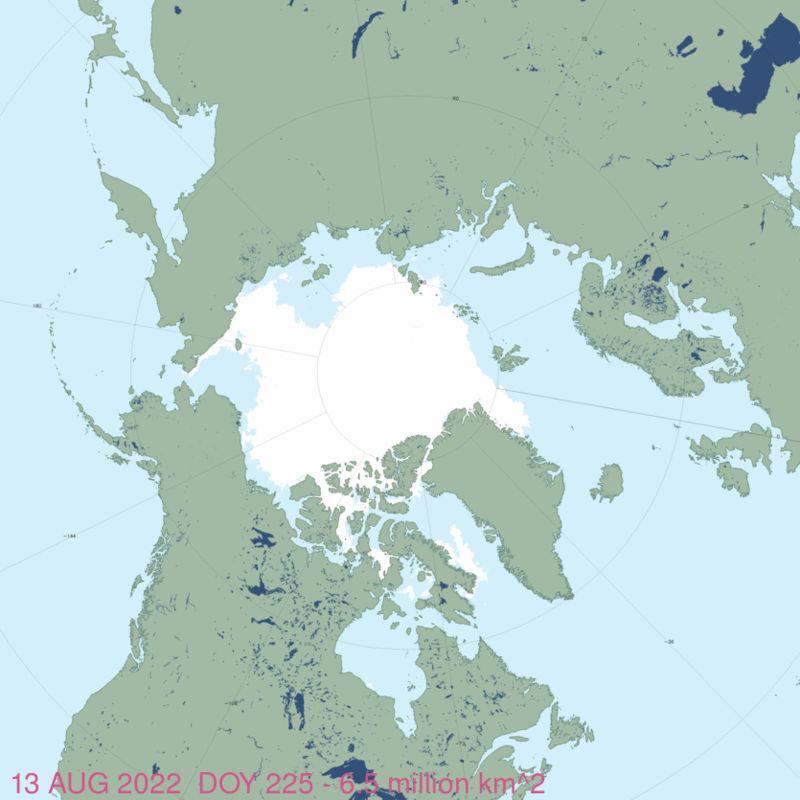 The animation below [see link] alternates between current sea ice extent in green, and 1971 end of summer extent in white. Reggie better fire up his blowtorch. I suppose they should be congratulated for ingenuity in finding something new to keep the plebs afraid of global warming. What happened to ‘rapidly melting’ Arctic ice in its ‘death spiral’ and ‘ice free Arctic by 2013/14/15/16/17/18’ etc? ENSO will remain neutral. The ice will grow. MASIE uses the most recent full day of data from NIC, obtained nightly. As is the rule with operational centers, gaps in production can occur without warning. 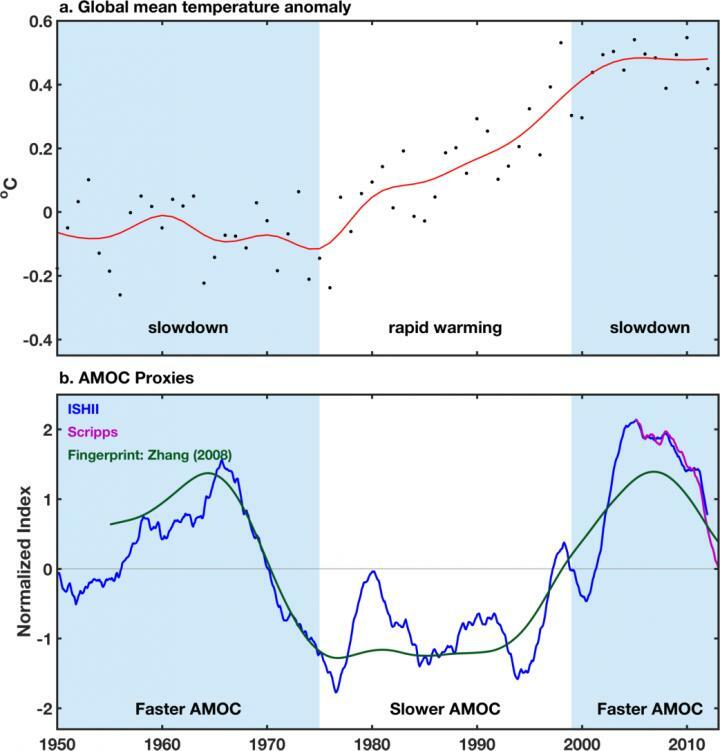 Now the authors say that the big decline in Amoc flow since 2004 means less heat going into the waters and more into the air, leading to higher global temperatures. And that is likely to continue. Oldbrew El Niño works in a similar way. In this way, the ocean gives away the accumulated energy by increasing the amount of water vapor. ren – the previous two phases of the AMOC are a lot longer than the latest one by the look of it? Note this diagram appears to end in about 2012-13. The top panel shows global average surface temperature changes since 1950, with two periods of slower change and a period of rapid warming from 1975 to 2000. The lower panels show the strength of the Atlantic overturning circulation. 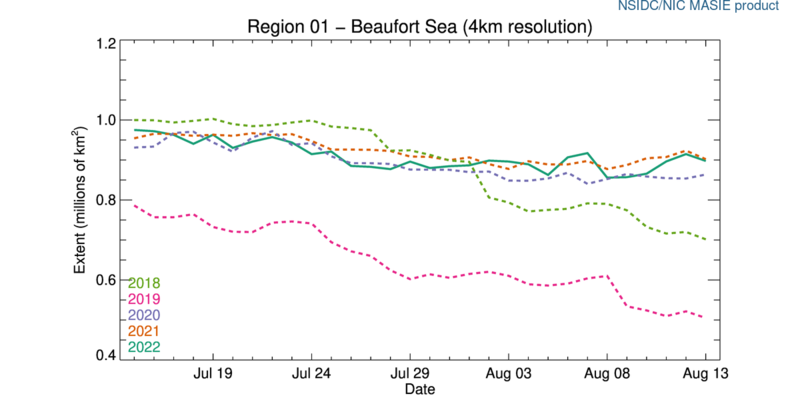 The blue (and, on the right, purple) curve is the salinity north of 45N, an indirect measure, or proxy, for the AMOC strength. The green curve is an established proxy of AMOC. Here we provide several lines of palaeo-oceanographic evidence that Labrador Sea deep convection and the AMOC have been anomalously weak over the past 150 years or so (since the end of the Little Ice Age, LIA, approximately 1850) compared with the preceding 1,500 years. oldbrew-in my opinion, the temperature has increased for the period of El Niño and the Golfstrom will speed up again. oldbrew-if the ice rises east of Greenland, the salt water will fall lower and the Golfstrom will accelerate. Surface temperature of the western Atlantic. 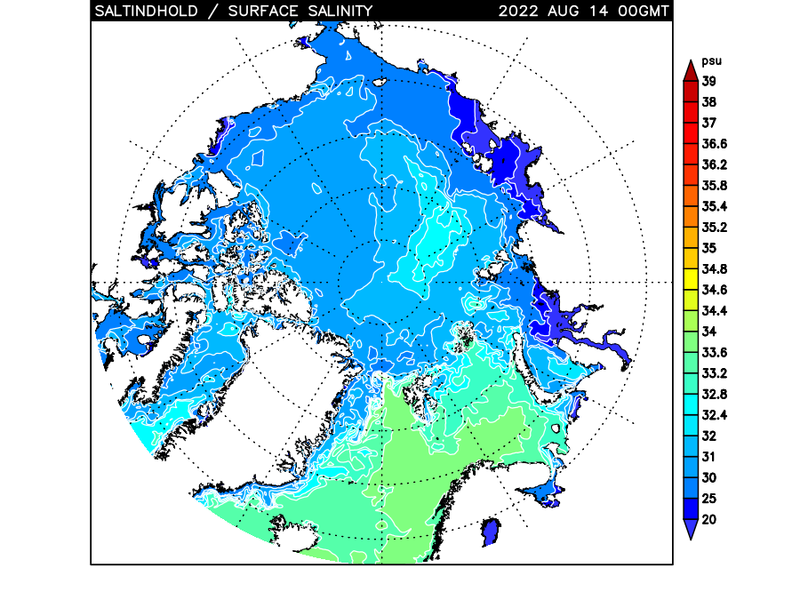 Map shows the surface salinity in the Arctic Sea. Brimstone and fire predictions of an ice-free Arctic made 10 years ago by leading scientists, politicians and media outlets are emerging today as preposterous. Recently climate catastrophe non-believers have been pointing out that Arctic sea ice volume has been gaining over the past years and has not trended downward for some dozen years now. 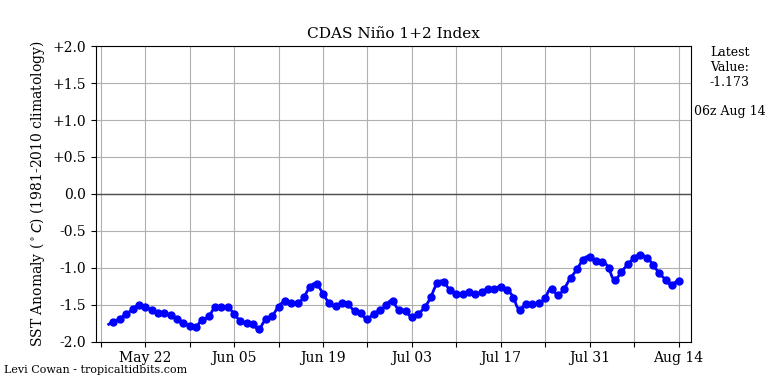 And global warming alarmists have been very silent on the subject of climate change now that global surface temperatures have cooled and Arctic and Greenland snow and ice have rebounded. Embarrassed, they don’t want to be reminded of all the absurd predictions they made 10 years ago, with some as recently as just five years ago. Now is a good time to remind them and ourselves once more of these preposterous, charlatan-quality predictions.